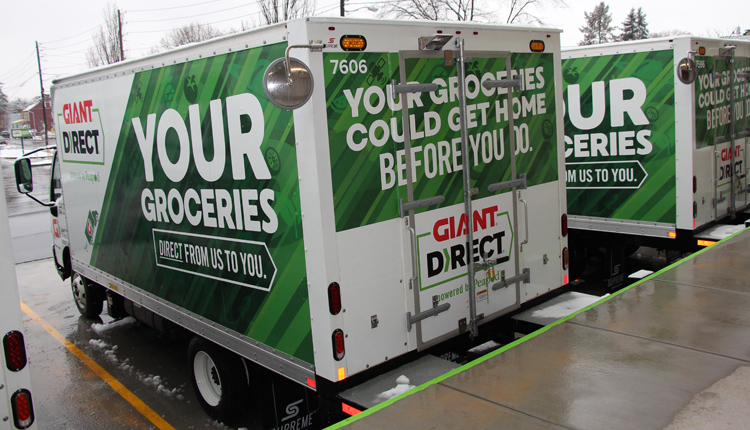 CARLISLE, Pa. — GIANT Food Stores hosted a ribbon cutting ceremony on Tuesday for a new e-commerce hub in Lancaster, Pa. 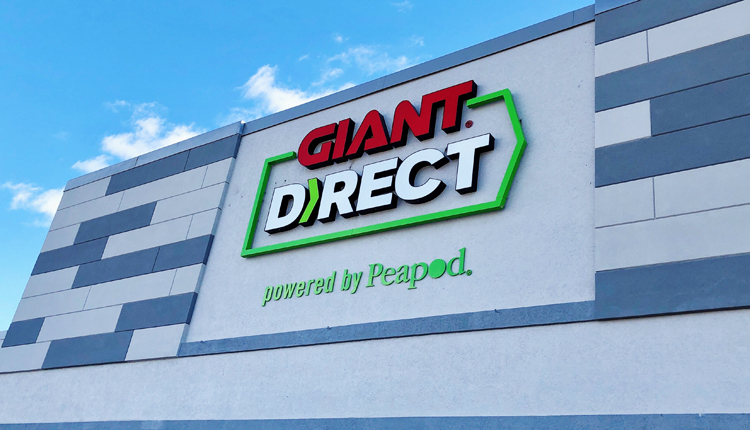 The facility is part of the retailer’s recently rebranded digital grocery operation, which is called “GIANT DIRECT, Powered by Peapod.” The new hub, which is being operated in partnership with Peapod Digital Labs, will expand the reach of GIANT’s next day delivery service to 40% more residents in the greater Lancaster area. 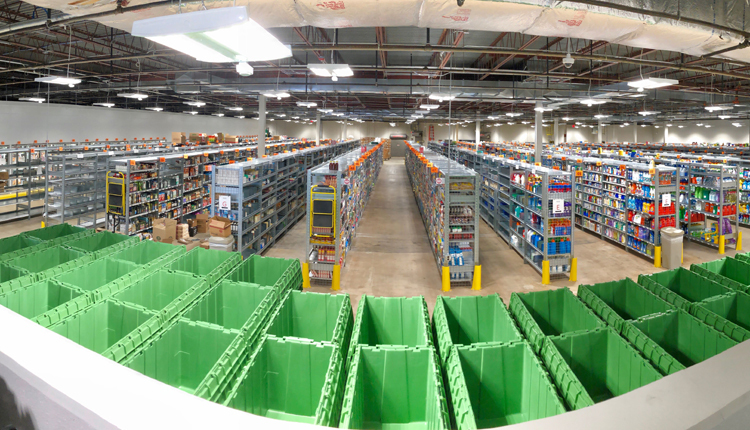 It is also the the first of GIANT’s e-commerce centers to offer on-site pickup, allowing customers who place online orders to have them delivered right to their vehicles. Customers can also also place digital orders using tablets in the e-commerce hub’s walk-up vestibule. 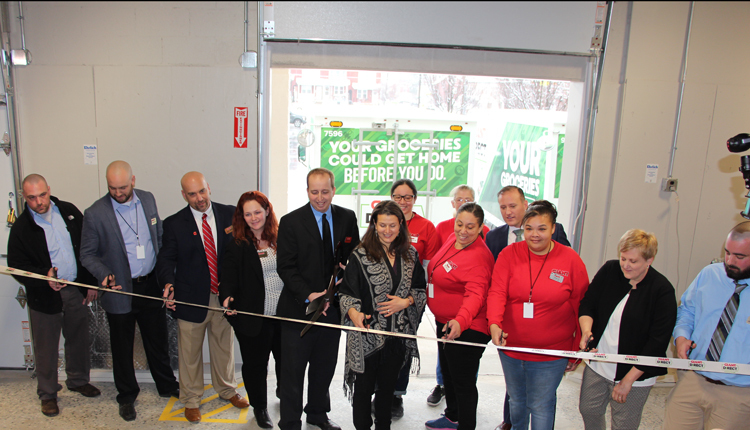 “Today’s grand opening is a pivotal moment that reflects a renewed commitment to Lancaster and an investment in a special neighborhood,” GIANT Food Stores President Nicholas Bertram said. Lancaster Mayor Danene Sorace also attended the ribbon-cutting ceremony at the facility, which is located at 235 North Reservoir Street in Lancaster. Mayor Sorace said the city was happy to work with GIANT and help make the new e-commerce hub a reality. 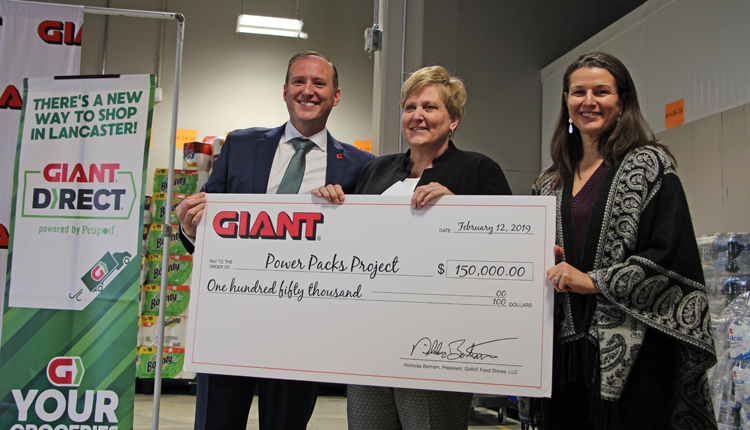 As part of the grand opening celebration, GIANT announced a three-year, $150,000 donation to the Power Packs Project, which helps parents in need provide their children with nutritious meals over the weekend, when school breakfast and lunch programs are not available. Promoting the development of healthy children and alleviating hunger in the communities it serves are priorities for GIANT, according to the retailer. 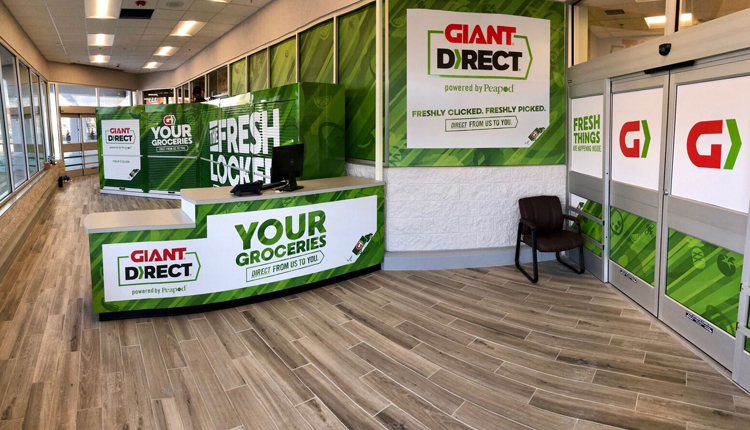 To further celebrate the opening of the new e-commerce hub, GIANT plans to host a Community Day Celebration on Saturday. The event will be free and open to the public, allowing local residents can take advantage of promotional giveaways and prizes. There will be face painting and balloon artists, as well as online ordering demonstrations. And the first 200 attendees will receive a free bag of groceries.